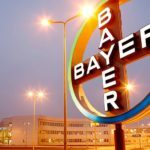 [Video] Bayer Sells AIDS-Infected Drug Banned in U.S. in Europe, Asia – Unearthed documents show that the drug company Bayer sold millions of dollars worth of an injectable blood-clotting medicine — Factor VIII concentrate, intended for hemophiliacs — to Asian, Latin American, and some European countries in the mid-1980s, although they knew that it was tainted with AIDS. Bayer knew about the fact that the drug was tainted and told the FDA to keep things under wraps while they made a profit off of a drug that infected its patients. If these allegations are true, then both Bayer and the FDA are at fault for this catastrophe. FDA regulators helped to keep the continued sales hidden, asking the company that the problem be ”quietly solved without alerting the Congress, the medical community and the public,” according to the minutes of a 1985 meeting.